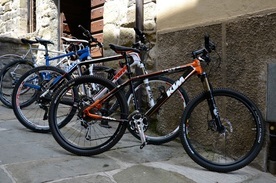 City bikes, Mountain bikes, E-Bikes and Racing bikes available for daily, multiple days and weekly rental. ﻿Vespa 125 cc with 2 helmets, driving assistance, itinerary suggestions included in price. Available for daily, multiple days or weekly rental. Pick it up in Cortona or request for home delivery. Cars, minivan, motorbikes, vintage cars like FIAT 500 for all kind of drivers! We can help you organize your self driving itineraries. ​tours all around Cortona, Valdorcia, Chianti, Trasimeno Lake and Umbria.